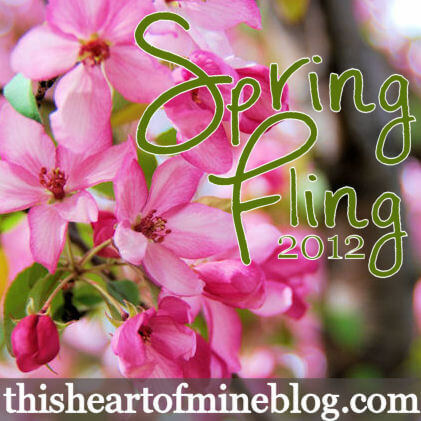 Today I’m over at this heArt of mine for Amy’s Spring Fling series! Yesterday was officially the first day of spring and it could not come soon enough! I’m ready for sunshine and picnics and flowers! Amy has lined up some great spring projects of all sorts, so hop on over and check it out! I’m sharing a sewing project that I’m REALLY EXCITED about. 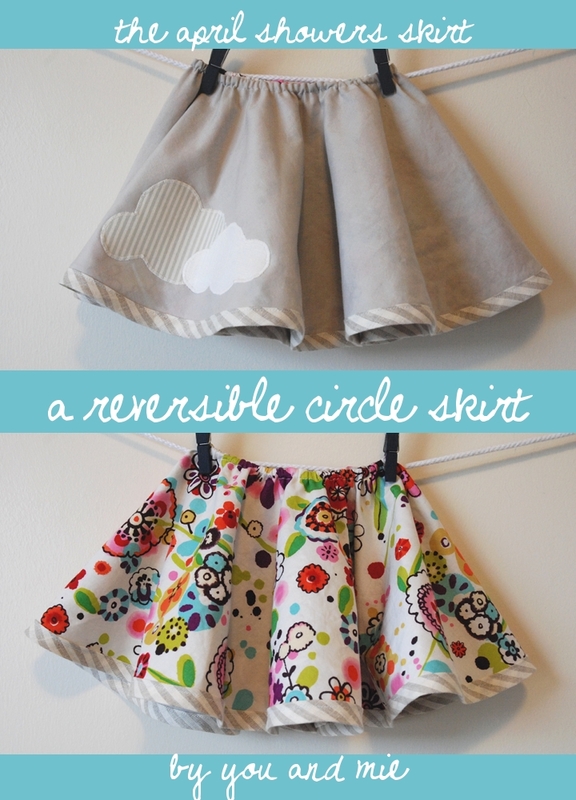 It’s a simple, reversible circle skirt – easy, fun, and TWO skirts in one! 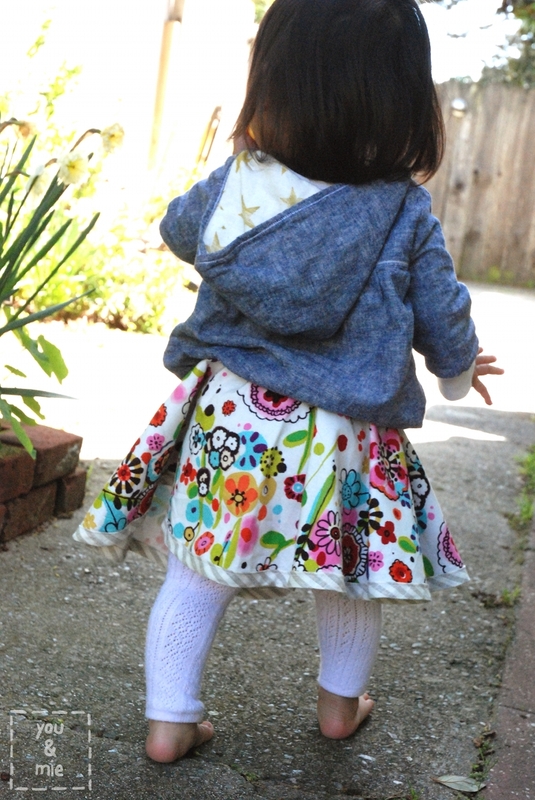 I call it the April Showers Skirt – one side is gray and cloudy and the other is bright and floral. April showers bring May flowers! My favorite part is how the bright print peeks out under the cloudy gray side! So please pop on over to this heArt of mine for Spring Fling to see how to make your own April Showers Skirt! 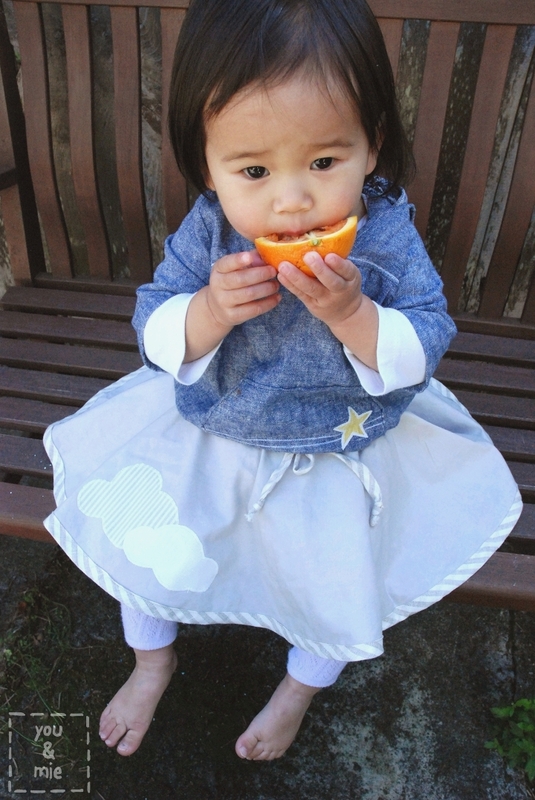 This entry was posted in guest post and tagged applique, circle skirt, guest post, reversible, reversible circle skirt by Cherie. Bookmark the permalink. I absolutely ADORE this skirt! Really enjoying your blog, so happy you are sharing your creative talents with us! oh good heavens, cherie, this is genius!!! LOVE IT. the clouds and striped trim are right up my alley, too. you’re awesome. so brilliant!… and well-made. how do you come up with these creative ideas? What a totally cute skirt – love the double side idea! Your pattern always make me wish I had a little girl to sew for! Very cute! It’s given me all kinds of ideas for what else could be reversible…thank you for the inspiration! Love that it is reversible!!!! What a fantastic idea! 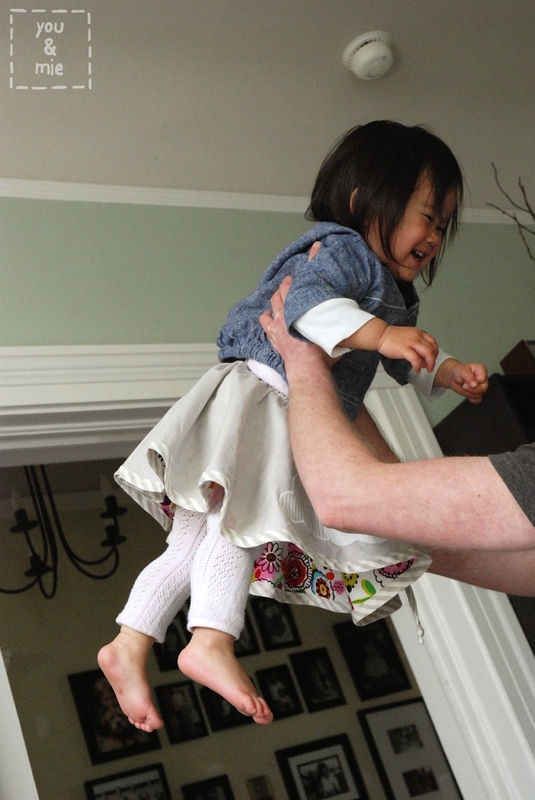 Oh, that is so adorable and fun! Thanks for sharing that! Very sweet. I love your style! Love the skirt! And it would be perfect since it was 80 degrees last week and cold and raining this week. These skirts are just precious! This is really lovely – you’ve done a beautiful job. Love this! Thanks so much for sharing at A Couple of Craft Addicts. You were featured today! That is very, very cute!! Oh I love this Cherie! You are such a genius. When the gray is on the outside, the peek of bright floral fabric underneath is just lovely.